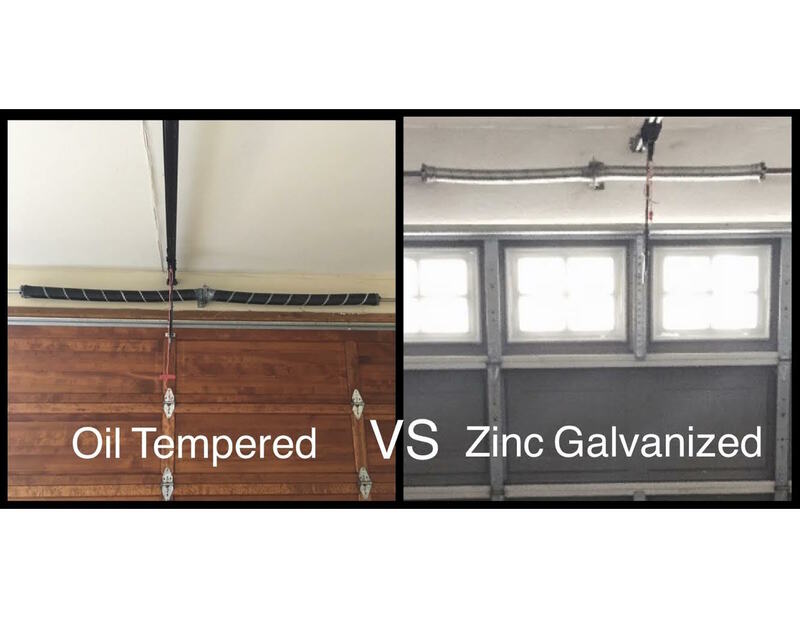 How do Oil Tempered Springs Compare to Zinc Galvanized Springs? Hands down, the most common issue that customers call us about is broken garage door spring repair. The life on garage door springs is finite: they have an expected life cycle and will eventually need to be replaced. It’s beneficial to understand the differences between these two types of springs whether you’re in need of repair at the moment or not because it can save you some time and money down the line. Let’s start at the beginning, both oil tempered springs and zinc galvanized springs are made from the same base material: high carbon steel wire. The difference between the two springs begins with their creation process. Oil tempered springs are heated up to 1500 degrees in order to form it into the correct wire size. Galvanized springs on the other hand are formed through the process of applying zinc directly to the wire before it is stretched. Other than how the springs are made, there are some unique beneficial characteristics of each. Oil tempered springs have been around the longest. Through the oil tempering process, there remains an oily film on the springs that makes them susceptible to rust. Although it doesn’t affect the performance of the spring, the oily residue can cause stains and the rusty springs are not as aesthetically pleasing as the alternatives. The main benefit to oil tempered springs is that they hold their value over time. Though they have a slightly higher price tag than zinc galvanized springs, they rarely need to be tightened and will last the longest all while keeping their tension. If you want your springs to last and don’t mind the rust, oil tempered are your best choice. 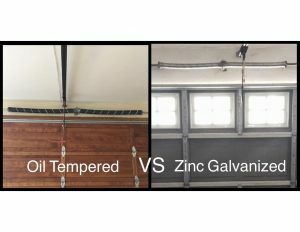 Zinc galvanized springs have become popular within the last couple decades and are considered the “more affordable” option of the two. These springs require a little more maintenance and upkeep compared to to oil tempered springs. Zinc galvanized springs should be tightened 1-2 times a year in order to keep everything working properly. The main attraction toward these springs is their resistance to rusting. They also have a price point cheaper than the oil tempered springs so the zinc springs are beginning to show up more often in newer homes as an affordable option. The only downside is that they will have to be replaced more often than their counterpart, oil tempered springs. As your San Diego garage door repair resource, Rockstar Garage Door Services can help you address any and all issues you might be having. If after reading this, you are still unsure about which option to go with for your garage door springs, don’t hesitate to give us a call and one of our knowledgeable technicians can talk through all of your options with you. We also offer free estimates on everything before starting the work. Give us a call today! Next Next post: You Should Never Leave Your Garage Door Open – Here’s why!